Kick off your visit on the 20th (Sun): get to know the fascinating history of Sydney Harbour Circle Walk. 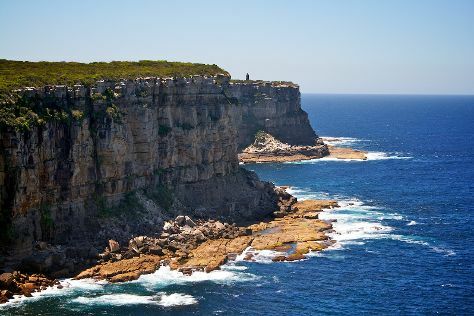 On the 21st (Mon), you'll have a packed day of sightseeing: examine the collection at Mary Mackillop Place, then identify plant and animal life at North Head Sanctuary, and then stroll through Bronte Beach. For traveler tips, photos, ratings, and other tourist information, read Sydney online day trip planner . Use the Route module to find suitable travel options from your home destination to Sydney. In October in Sydney, expect temperatures between 28°C during the day and 17°C at night. Finish your sightseeing early on the 22nd (Tue) to allow enough time to drive to Canberra. Get some cultural insight at Canberra Deep Space Communication Complex and Garroorigang Historic Home. Take a break from the city and head to Tidbinbilla Nature Reserve and Namadgi National Park. You'll find plenty of places to visit near Canberra: Bungendore Wood Works Gallery (in Bungendore), Kingsdale Wines (in Goulburn) and Gundog Cork Street Cellar (in Gundaroo). And it doesn't end there: get interesting insight from Tours, contemplate the long history of Lanyon Homestead, don't miss a visit to Mugga-Mugga Cottage, and do a tasting at Capital Wines. 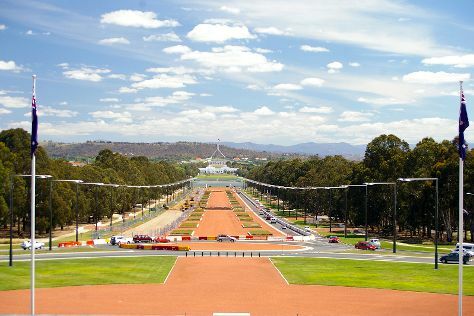 Quickly create a custom-made itinerary for Canberra using our trip planner. Traveling by car from Sydney to Canberra takes 3.5 hours. Alternatively, you can fly; or take a bus. Expect a bit cooler temperatures when traveling from Sydney in October; daily highs in Canberra reach 25°C and lows reach 6°C. Finish up your sightseeing early on the 27th (Sun) so you can travel to Thredbo Village. On the 28th (Mon), take a leisurely stroll along Snow Gums Boardwalk and then fly down the slopes at Snowy Mountains. To see maps, reviews, more things to do, and more tourist information, read Thredbo Village trip planner . You can drive from Canberra to Thredbo Village in 3 hours. When traveling from Canberra in October, plan for slightly colder days and about the same nights in Thredbo Village: temperatures range from 22°C by day to 4°C at night. Cap off your sightseeing on the 28th (Mon) early enough to travel to Bermagui. For photos, traveler tips, other places to visit, and tourist information, use the Bermagui trip itinerary planner. Getting from Thredbo Village to Bermagui by car takes about 3.5 hours. Traveling from Thredbo Village in October, you can expect nighttime temperatures to be a bit warmer in Bermagui, with lows of 11°C. You will leave for Narooma on the 28th (Mon). Narooma is a town in the Australian state of New South Wales on the far south coast. To find reviews, more things to do, maps, and tourist information, go to the Narooma trip itinerary maker website . You can drive from Bermagui to Narooma in an hour. In October, daytime highs in Narooma are 24°C, while nighttime lows are 11°C. On the 29th (Tue), you're off toBroulee. Broulee is a town on the south coast of New South Wales between Batemans Bay and Moruya. To find where to stay, photos, reviews, and tourist information, read our Broulee trip itinerary maker app . You can drive from Narooma to Broulee in an hour. On the 29th (Tue), wrap the sightseeing up by early afternoon so you can travel to Batemans Bay. To see traveler tips, reviews, more things to do, and other tourist information, refer to the Batemans Bay online trip itinerary maker . Batemans Bay is just a stone's throw from Broulee. In October, plan for daily highs up to 27°C, and evening lows to 12°C. Finish your sightseeing early on the 29th (Tue) so you can travel to Wollongong. Wollongong, informally referred to as "The Gong", is a seaside city located in the Illawarra region of New South Wales, Australia. To find reviews, more things to do, traveler tips, and more tourist information, you can read our Wollongong road trip app . You can drive from Batemans Bay to Wollongong in 2.5 hours. In October, daily temperatures in Wollongong can reach 30°C, while at night they dip to 11°C. 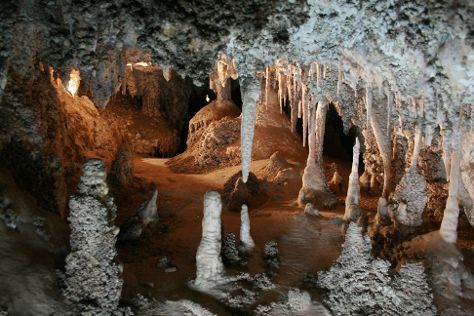 On the 30th (Wed), you'll have the morning to explore before heading off to Jenolan Caves. Plan my Jenolan Caves trip by asking Inpirock to come up with tips and suggestions. You can drive from Wollongong to Jenolan Caves in 3.5 hours. Alternatively, you can do a combination of train and taxi; or do a combination of bus, train, and taxi. In October in Jenolan Caves, expect temperatures between 30°C during the day and 11°C at night. Wrap up your sightseeing on the 30th (Wed) early enough to drive to Katoomba. On the 31st (Thu), examine the collection at Lithgow Small Arms Factory Museum, then sample the tasty concoctions at Bilpin Cider Company, then explore the world behind art at Norman Lindsay Gallery & Museum, and finally get to know the fascinating history of The National Pass. Here are some ideas for day two: stroll through Prince Henry Cliff Walk, view the masterpieces at Gallery One88, then don't miss a visit to Street Art Walk - by Street Art Murals Australia, and finally take in the exciting artwork at Blue Mountains Cultural Centre. 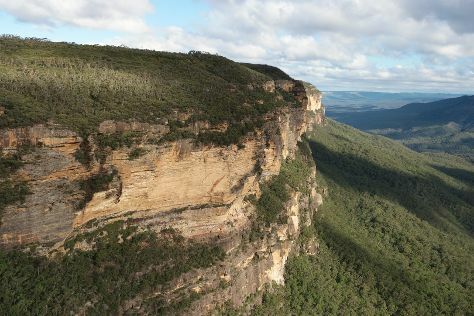 To find traveler tips, where to stay, and tourist information, use the Katoomba trip planner . Getting from Jenolan Caves to Katoomba by car takes about 1.5 hours. Expect a daytime high around 30°C in October, and nighttime lows around 12°C. Wrap up your sightseeing on the 1st (Fri) early enough to drive to Bathurst. Bathurst is a regional city in the Central Tablelands of New South Wales, Australia. For ratings, maps, reviews, and other tourist information, refer to the Bathurst trip planning website . Traveling by car from Katoomba to Bathurst takes 1.5 hours. Alternatively, you can take a train; or do a combination of train and bus. Traveling from Katoomba in November, Bathurst is a bit cooler at night with lows of 13°C. On the 1st (Fri), you're off toGriffith. Griffith is a major regional city in the Murrumbidgee Irrigation Area that is located in the north-western part of the Riverina region of New South Wales, known commonly as the food bowl of Australia. Start off your visit on the 2nd (Sat): do a tasting at Calabria Family Wines, brush up on your military savvy at Griffith War Memorial Museum INC, do a tasting at McWilliam's Hanwood Estate, then do a tasting at Berton Vineyards, and finally learn about winemaking at De Bortoli Winery. Get ready for a full day of sightseeing on the 3rd (Sun): explore the striking landscape of Cocoparra National Park. For photos, other places to visit, reviews, and other tourist information, you can read our Griffith trip planner . Traveling by car from Bathurst to Griffith takes 4.5 hours. Alternatively, you can fly. Expect a daytime high around 34°C in November, and nighttime lows around 15°C. Finish your sightseeing early on the 3rd (Sun) to allow enough time to travel to Echuca. Echuca is a town located on the banks of the Murray River and Campaspe River in Victoria, Australia. Kick off your visit on the 4th (Mon): don't miss a visit to GrainCorp Silos in Rochester Victoria, then stop by Glenda's Candle Scents, and then take a peaceful walk through Five Mile Picnic Area. For photos, more things to do, reviews, and other tourist information, read our Echuca attractions planner. Getting from Griffith to Echuca by car takes about 3.5 hours. Finish up your sightseeing early on the 4th (Mon) so you can go by car to Bendigo. For photos, other places to visit, maps, and more tourist information, use the Bendigo online sightseeing planner . Getting from Echuca to Bendigo by car takes about 1.5 hours. Other options: take a bus; or take a train. Finish your sightseeing early on the 4th (Mon) to allow enough time to drive to Ballarat. On the 5th (Tue), admire the striking features of St Patrick's Cathedral, explore by horseback at Hepburn Lagoon - Trail Rides, contemplate the waterfront views at St George's Lake, take in the spiritual surroundings of St Augustine's Church, then make a trip to Australian Ex-Prisoners of War Memorial, and finally don't miss a visit to Arch of Victory. To find where to stay, ratings, and other tourist information, read Ballarat itinerary planner . Getting from Bendigo to Ballarat by car takes about 1.5 hours. Other options: take a bus; or take a train. November in Ballarat sees daily highs of 25°C and lows of 11°C at night. Wrap up your sightseeing on the 6th (Wed) early enough to drive to Port Campbell. Port Campbell is a coastal town in Victoria, Australia. Start off your visit on the 6th (Wed): kick back and relax at Port Campbell precinct and foreshore and then get outside with The Arch. To see more things to do, traveler tips, maps, and more tourist information, refer to the Port Campbell holiday planning website . Drive from Ballarat to Port Campbell in 2.5 hours. Alternatively, you can take a bus. Wrap up your sightseeing on the 7th (Thu) to allow time to travel to Cape Otway. Kick off your visit on the 7th (Thu): explore the striking landscape of Great Otway National Park. To find other places to visit, reviews, where to stay, and more tourist information, refer to the Cape Otway trip itinerary builder website . Getting from Port Campbell to Cape Otway by car takes about 1.5 hours. On the 8th (Fri), wrap the sightseeing up by early afternoon so you can travel to Lorne. Lorne is a seaside town on Louttit Bay in Victoria, Australia. For reviews, more things to do, where to stay, and other tourist information, you can read our Lorne trip planning app . You can drive from Cape Otway to Lorne in 1.5 hours. In November, daytime highs in Lorne are 25°C, while nighttime lows are 11°C. Wrap up your sightseeing on the 8th (Fri) early enough to drive to Torquay. Kick off your visit on the 9th (Sat): explore by horseback at Spring Creek Horse Rides, tour the pleasant surroundings at Anglesea Bike Park, then kick back and relax at Point Roadknight, and finally take some stellar pictures from Bird Rock Lookout. For more things to do, traveler tips, and other tourist information, read our Torquay road trip planner. Drive from Lorne to Torquay in an hour. Alternatively, you can take a bus. In November, daily temperatures in Torquay can reach 25°C, while at night they dip to 11°C. Wrap up your sightseeing by early afternoon on the 10th (Sun) to allow enough time to drive to Geelong. Geelong is a port city located on Corio Bay and the Barwon River, in the state of Victoria, Australia, 75km south-west of the state capital, Melbourne. For traveler tips, maps, and other tourist information, read our Geelong trip planner. Geelong is very close to Torquay. In November, daytime highs in Geelong are 25°C, while nighttime lows are 11°C. Cap off your sightseeing on the 10th (Sun) early enough to go by car to Melbourne. On the 11th (Mon), get to know the fascinating history of Lilydale to Warburton Rail Trail, learn about winemaking at Punt Road Wines, then learn about winemaking at Corniola Wines, and finally learn about winemaking at Yileena Park. On the next day, explore the landscape on two wheels at Catani Gardens, enjoy the sand and surf at Elwood Beach, then take in the exciting artwork at Jodee Creations, and finally see the interesting displays at TarraWarra Museum of Art. To see more things to do, other places to visit, photos, and tourist information, you can read our Melbourne travel route planning app . Getting from Geelong to Melbourne by car takes about an hour. Other options: take a train; or take a bus. In November, plan for daily highs up to 26°C, and evening lows to 11°C. Finish up your sightseeing early on the 13th (Wed) so you can go by car to Beechworth. Start off your visit on the 13th (Wed): steep yourself in history at Old Beechworth Gaol, then steep yourself in history at Beechworth Post Office, then take an in-depth tour of Yackandandah Museum, and finally go for a walk through Beechworth Historical Precinct. For traveler tips, photos, where to stay, and tourist information, you can read our Beechworth trip itinerary planner. Getting from Melbourne to Beechworth by car takes about 3.5 hours. Other options: take a train; or fly. When traveling from Melbourne in November, plan for somewhat warmer days and about the same nights in Beechworth: temperatures range from 30°C by day to 10°C at night. On the 14th (Thu), wrap the sightseeing up by early afternoon so you can travel to Khancoban. Khancoban is a small town in Snowy Valleys Council, New South Wales, Australia. Start your trip to Khancoban by creating a personalized itinerary on Inspirock. You can drive from Beechworth to Khancoban in 2.5 hours. Cap off your sightseeing on the 14th (Thu) early enough to travel to Canberra. Start off your visit on the 15th (Fri): indulge your thirst for a good beer at Tortured Gum Brewery, then contemplate in the serene atmosphere at Canberra Baptist Church, then take in the architecture and atmosphere at St John the Baptist Church, and finally hike along ANZAC Parade Walk. To see ratings, reviews, traveler tips, and tourist information, you can read our Canberra online trip itinerary maker . You can drive from Khancoban to Canberra in 4 hours. Wrap up your sightseeing on the 16th (Sat) to allow time to drive back home.